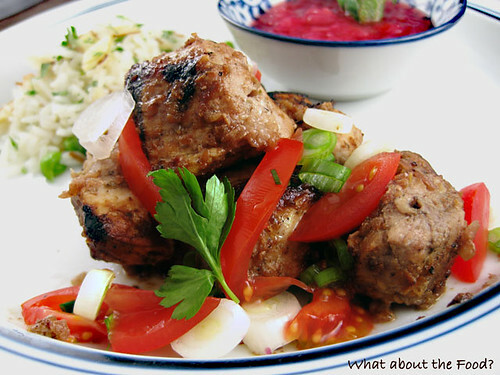 Karabakh Khorovatz - Pork Marinated in Pomegranate Molasses - What about the food? Здравствуйте и добро пожаловать Hello and Welcome. Serve traditionally with tomatoes and sliced scallions. 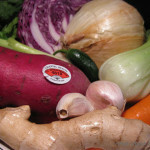 After reading a post from Crumbs for Dinner I was intrigued with an ingredient new to me: Pomagranate Molasses! What!? When confronted with something new, I begin a combination of research and digging into my cook book collection for creative possibilities. What fun is that?! 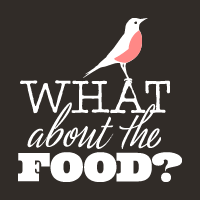 Part of my foodie adventure is to explore new possibilities. 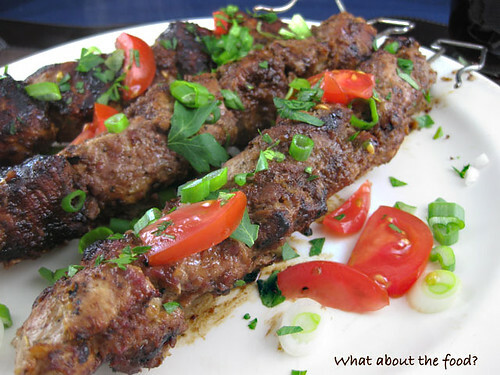 Karabakh Khorovats – or pork kabobs marinated in onion, oregano and pomegranate molasses from the Caucasus’ or modern day Armenia. 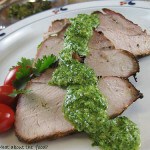 With some slight modifications, taken mostly as written made a wonderful change of pace and alternate to standard spice combinations for pork. To balance the intense savory flavors I made a rhubarb compote with a bit of Manderin orange and Star Anise for a sweet respite. A little rice pilaf with almonds and there we have it. 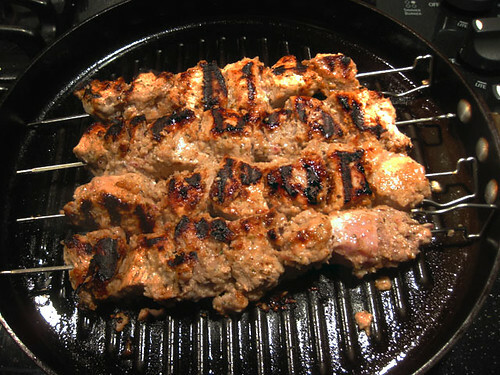 Kabobs grilled in a pan, over charcoal or broiled. 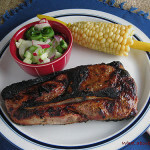 Cut up pork into chunks 1 ½ – 2 inches. 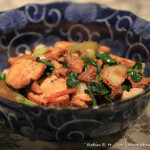 Place pork chunks in bowl and cover with marinade. Stir to coat each piece thoroughly. Cover and refrigerate for 3-6 hours. Overnight is ok.
Set out bowl of pork to come to room temp before skewering and grilling. Heat grill pan to high heat and cook for 15-20 minutes, turning to brown on all sides. Baste with marinade/wine sauce last 5 minutes. You can also cook kabobs over charcoal or gas grill. Served with rice pilaf and a rhubarb compote. Hi Jenn! In my research I came across a Bobby Flay turkey glaze recipe that included horseradish with the pomegranate syrup. Seemed like a good idea to me! I have also been working on getting the best out of my little point and shoot camera and I am so glad you like the results! this is a lovely idea! i’m always on the lookout for more recipes i can use pomegranate molasses for. seems like it’s a good ‘un for barbeque type dishes. i can see how it would go really well with pork. 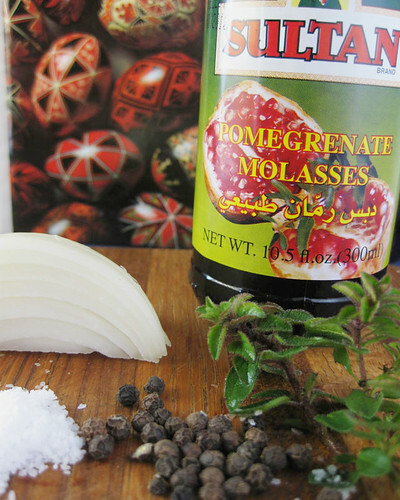 Thanks Grania for checking out this post and letting me know about pomegranate molasses in the first place! p.s. if you’ve not come across him before, yotam ottolenghi is brilliant – he uses pomegranate molasses in a variety of his dishes. it’s worth having a look at his cookbook as it is filled with inspiration! Not wanting to be a pedant but having just come back from a trip to the area, it is a very sensitive issue, so in case anyone from the region is reading Karabakh is in Armenia, not Azerbaijian….there has been quite a bit of bloodshed about that, so thought it best to let you know. 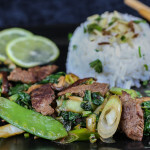 Other than that it looks excellent and will give the molasses a shot (have done before with the more widespread minced onion, paprika, salt and pepper and basil marinade so this is intriguing). Thank you so much for this information. I will be making this correction.